She Writes Press, 9781631525810, 288pp. 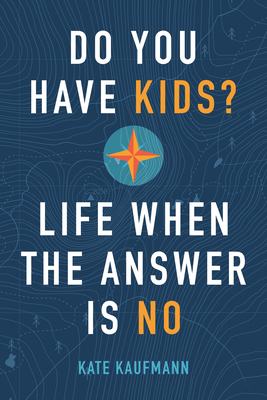 A savvy and validating guide to what might be in store for growing numbers of childfree and childless adults worldwide, Do You Have Kids? Life When the Answer is No takes on topics from the shifting meaning of family to what we leave behind when we die. Weaving together wisdom from women ages twenty-four to ninety-one with both her own story and a growing body of research, Kate brings to light alternate routes to lives of meaning, connection, and joy. Today about one in five American women will never have children, whether by choice or by destiny. Yet few women talk much about what not having kids means to their lives and identities. Not that they don't want to; there just aren't obvious catalysts for such open conversations. In fact, social taboos preclude exploration of the topic--and since our family-centric culture doesn't know quite what to do with non-parents, there's potential for childless and childfree women to be sidelined, ignored, or drowned out. Yet there's widespread, pent-up demand for understanding and validating this perfectly normal way of being. In this straight-shooting, exhaustively researched book, women without kids talk candidly about the ways in which their lives differ from societal norms and expectations--the good, the bad, and the unexpected.